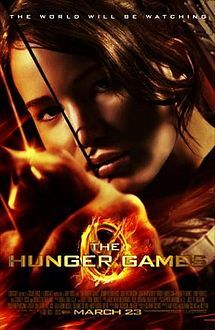 The Hunger Games, has become the third highest-grossing movie on the opening weekend (after Harry Potter, Star Wars Episode 1 and Transformers) at box office with an amazing $155 million collections. It is a 2012 American action-drama film based on The Hunger Games, the New York Times best-selling novel written by Suzanne Collins. The movie is set in a future where the Capitol will choose a girl and boy from twelve districts to battle to their death and rescue their lives on live television. The film is directed by the American writer, director Gary Ross and the star cast includes Jennifer Lawrence, Woody Harrelson, Josh Hutcherson, and Elizabeth Banks. The film was worldwide released on March 23, 2012 in digital IMAX theaters as well as other conventional theaters. The film has highlighted the remarkable violence, raw emotion, and ambitious extent and has received very positive comments and reviews from top critics and scored 7.3 out of 10. On release, the film earned $68 million on Friday, $51 million on Saturday and an anticipated $36 million on Sunday and made a history. It collected impressive $9.69M from different territories of Australia, $7.49M from the UK and $1.27M New Zealand and over $50 million from the US and Canada box office.